Once again we are organising a full day ride in the beautiful natural surroundings of Kilsbergen, amidst lakes, forests and winding pathways. We will make a picnic stop half way through the day where enclosuresfor our horses and a set table with lunch, coffee and treats will be waiting for us. Bring your own horse or rent one of ours! Your guide on the ride will be Kilsbergen veteran Marie Elfverson. The prices include 4-5 hours of guided riding through Kilsbergen and a warm lunch with coffee and home baked treats. The ride begins at 11.00 am from the stables of Ramshyttan Horse Far. Make sure you dress warmly and are here in good time! We get back to the farm around 4 pm. or mail us your name and contact details. Food is metabolised differently in our bodies, some foods are acid-forming and others are alkalising. In general, we eat too much acid forming food - such as meat, dairy products, cereals, coffee, sugar, alcohol and processed foods. This leads to acid being stored in the joints, body and tissues, and when the body tries to neutralise these, alkaline substances are pulled out of the organism - mainly calcium stored in bones, joints and blood vessels. A constant excess of acid can eventually lead to a thinning of the bones and calcium being stored in the tissue instead, causing various problems. Indigestion, joint pain, intestinal disorders, liver disease, gallstones, fatigue, anger, irritability, high blood pressure, muscle stiffness, candida, depression, poor eyesight, brittle bones, obesity, asthma, colds, etc. ..
Scientific research has been made regarding how cells and bodies behave in acidic environments, where it has been seen how people with diabetes have improved or even completely recovered, cancer patients have made ​​tremendous progress, and obese individuals have plummeted in weight by changing to an alkaline diet. During "Alcaline Health Week" we will eat and drink alkalising foods, based on raw vegetables and fruit. This is an opportunity for the body to eliminate acids and toxins, and regain vitality and health. Relaxation, hikes through the beautiful Bergslagen nature, exercises and lectures on nutrition and health are included in the program. April 05 Easter trail ride through the Kilsberg hills. June 02 Spring trail ride in Kilsbergen with warm picnic lunch and coffee. Marie has lived in the village of Ramshyttan for almost twenty-five years, and been riding in the forests of Kilsbergen for nearly as long. Marie has also practiced orienteering the major part of her life, which allows her to find her way among trees and pathways as few can. On trail rides with Maire you can count on experiencing the forests, lakes and undulating landscapes of the Kilsberg Hills on both larger established forest roads, and smaller, more or less hidden pathways. Beautiful views and plenty of fun guaranteed! 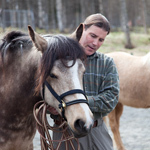 Horsemanship instructor Robert Raine has for many years been helping individuals who have had horses with behavioural problems, and has held courses in both Sweden, Norway and the USA. Robert Raine has been educated at Monty Roberts' international school in California. 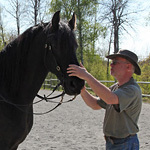 With instructors such as Anna Twinney (founder of Reach out to horses) and Carolynn Resnick (author of Naked Liberty), Robert has sound experiece when it comes to bridging the communication gap between you and your horse, so that you may understand eachother better. By learning about how horses communicate with eachother, the communication between horse and human is also greatly improved. For the past few years Lisa has been working abroad where she has trained both horses and riders as well as competed with great success. 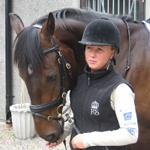 In 2006 / 2007 Lisa did the "specialty" programme at Strömsholm where she got to ride and train horses from 3 years up to grand prix. Her main focus lies on dressage and training young horses, but she has also competed successfully in both eventing and show jumping. Markus teaches a style of riding that is logical for both horse and rider with the main focus on the horse's gymnastics. With the philosophy that dressage is for the horse and not the reverse, it becomes clear that every horse is able! Mark takes on all horses with the same enthusiasm, regardless of previous education, age or breed. Dorothea Meiske - Health therapist and fasting instructor. 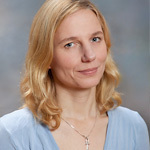 Dorothea is a relaxation trainer and fasting instructor, born 1973 in Berlin. She worked many years as a social worker in the field of mental care and young adults with social and addictive problems in Berlin. During this time, Dorothea became interested in health, natural remedies and the influence of diet on wellbeing. Being around people suffering from mental illness her interest increased, not only in the the influence of food on physical health, but also on moods and emotional wellbeing. Furthermore she has studied the effects of habits – eating habits as well as lifestyle, thought patterns etc. – on our wellbeing and our life.